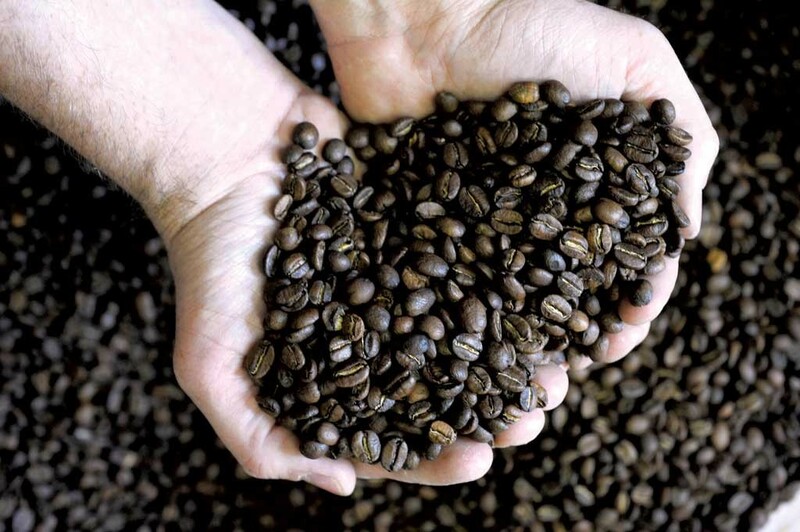 With more than 10 roasters within its borders, Vermont is home to a robust local coffee scene. But in a small state, where obtaining certain wholesale customers can make or break a coffee company, the competition can be cutthroat. Four years ago, brand new Waterbury-based Brave Coffee & Tea landed what one local coffee expert calls a "celebrity account": the Trapp Family Lodge in Stowe. Husband-and-wife team Chris and Heidi Townsend spent thousands of dollars on brewing equipment just to seal the deal, but it was worth it. Trapp's weekly coffee orders — 100 pounds during the busy season — helped stabilize their business, which churns out up to 1,600 pounds a month. Then early last month, someone from the mountain resort called to inform the Townsends it would no longer be purchasing Brave coffee. Local-gone-global Keurig Green Mountain, formerly Green Mountain Coffee Roasters, had commandeered the account. "I tell people there are two types of competition in the coffee world," said Paul Ralston, founder of the Vermont Coffee Company in Middlebury back in the 1980s, and an early apostle of roasting local. "There's intramural — the small roasters — and then there's varsity competition." Keurig Green Mountain is unquestionably on the varsity squad, so why was it playing small ball? And what prompted Trapp to drop the neighborhood roaster in favor of KGM, which racks up more than $4 billion in annual sales? KGM spokeswoman Sandy Yusen said that even though the company has outsourced some of its distribution to companies such as Pine State Trading and W.B. Mason, "Our relationships with all our local customers are important to us, even as the footprint of our business is expanding across North America. We couldn't have done that without the support of local restaurants, and it's part and parcel of how our business grew." Jockeying for accounts is just part of the game for small coffee companies in Vermont, and Chris Townsend readily admits that Brave has been an aggressor in the past. "When I took over the Trapp's account, I only took it over because Speeder & Earl's got kicked to the side. When I took over my account at Mirabelles, I only took over that account because Vermont Coffee Company got kicked to the side." But the brush-up with Trapp left a bitter taste in Townsend's mouth. "It's financial and political," he said, noting that he asked the Trapp rep if something was wrong with the quality of the beans or the service he provided. "No," the rep told him, offering this explanation instead: "Essentially, we do a lot of business with Green Mountain." To Townsend, the playing field didn't seem level. He could buy top-notch equipment, source his beans ever so carefully and tinker endlessly with his blends, but he would never have been able to bring a cadre of corporate execs to the Trapp premises. The fact that KGM occasionally holds corporate events at the lodge did factor into the decision to drop Brave, admits Trapp food and beverage director Arnd Sievers. But, he says, it had more to do with just wooing corporate business. "It came everything together," says German-born Sievers. "The service; we do a lot of business with Green Mountain, of course, and the quality of the coffee." Sievers, who started his job at Trapp in mid-February, said other employees told him Brave's service had been subpar. The difference in price, however, was negligible, according to Sievers, and, at an earlier point in the interview, he described Brave and KGM coffee as being "equivalent" in quality. Although it was not said unkindly, that statement would have sounded scathing to Chris Townsend, who prides himself on roasting specialty beans and distributing them at peak freshness. He and his wife have been in the coffee business in Vermont since 2006. After several earlier ventures, they created Brave Coffee & Tea as a café and wholesale business, roasting beans in a machine that Chris designed and built. The Townsends, who have two kids, ages 8 and 10, accumulated a handful of accounts, but the seasonal ebb and flow of business in the Waterbury-Stowe region made things difficult. Chris Townsend said he often encountered restaurants that weren't looking for the kind of high-quality, hyper-fresh coffee he was peddling. The couple was in the process of passing the reins to their friend and employee, Scott Wiegand, and planning to move out West when Townsend got the fateful call from Trapp. Weigand, 34, lives in Waterbury with his wife and two children, ages 2 and 4. Right now, he works part time cleaning offices to supplement his coffee-roasting income. Before coming to Brave, he spent four years as a barista at the KGM café in Waterbury; before that he worked at Starbucks. He says he left both places because he disliked the corporate cultures that revolved around checklists and mandated matching uniforms. A self-described optimist, Weigand said he had only fleeting second thoughts about taking over Brave right after it lost its biggest customer. "Talk to me in a year, but right now, I definitely think it's worth it. I feel positive momentum." There was a time when KGM was in a position similar to Brave's. 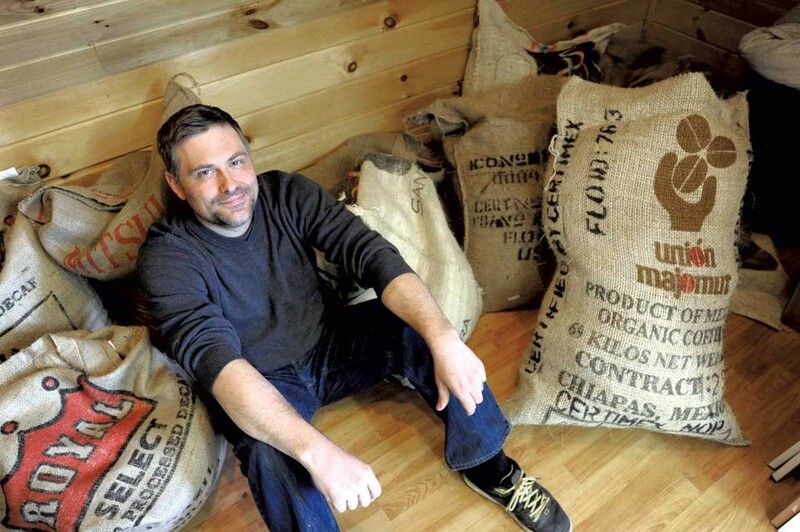 Dan Cox, owner and president of the Burlington-based coffee advisory firm Coffee Enterprises, was one of Green Mountain's original employees. "We were the young upstarts, fighting New England [Coffee]," he recalled. "I very much remember what it's like to be a street salesman going up to restaurants." In fact, Cox said he actually secured the Trapp account for KGM. "There was a French guy who was the chef. We had to do taste testing after taste testing." Roasters often hold "cuppings" — or involved taste-test sessions — to convince chefs and restaurateurs to switch to their beans. "Now Green Mountain is the 900-pound gorilla," according to Cox, who theorized that Trapp is "one of half a dozen signature accounts" in Vermont that KGM wants "because it's in their backyard." "Coffee — it's a hot business," said Trapp's Sievers, who mentioned that though he switched to KGM just last month, other coffee companies continue to approach him. He, too, remembers an earlier era when KGM was an underdog. Seven or so years ago, Sievers was working at the Sheraton Burlington Hotel & Conference Center when Starbucks struck a deal with the chain. "Everyone had to change to Starbucks, but we were allowed to stay with Green Mountain because it was a local supplier. Starbucks tried to push us really hard, and we were fighting and fighting and fighting." When Green Mountain started opening production lines outside of Vermont, Sievers said Starbucks finally got the Sheraton to switch, on the premise that the company was no longer local. Most local roasters in Vermont figured KGM's dueling days were over now that the company is focused on Keurig machines and cold beverages. "We do live in Green Mountain country," said Renee Adams, general manager at Vermont Artisan Coffee & Tea, which is also based in Waterbury. "But we haven't been in any uncomfortable situations vying for business." Vermont Artisan serves "a very different customer," Adams said. "Our base tends to be chef-owned restaurants who are changing menus seasonally." Vermont Coffee Company's Ralston, who said he thinks KGM's presence in Vermont has actually helped cultivate a vibrant coffee industry, offered a similar assessment. "In my mind, we do not compete with Keurig Green Mountain. They are moving in a different direction, and they offer a completely different product." Yusen declined to comment on whether KGM operates in a different sphere from local roasters, but she did point out that the company has the advantage of being able to offer equipment — Keurig one-cup brewing machines, as well as big-batch brewers, for example — that local roasters cannot. "We feel like we have a unique offering for restaurants and hotel property because we have a large range of brewing options," she said. Another perk? "We also try to support our local resorts that are our customers by choosing them for in-company meetings." Chris Townsend hopes that specialty coffee will go the way of craft beer in Vermont. The beer business is less exclusive, he said, since bars serve multiple brew brands, while restaurants and cafés tend to stick with a single coffee. "Boutique coffee is becoming big business, and you'll find coffee shops pulling multiple espressos and having guest roasters on tap," Townsend said. "It's happening. We're just not there yet." Budweiser, Townsend pointed out, would not "come into a bar and be, like, 'Oh, my gosh, you're carrying Heady Topper?'"